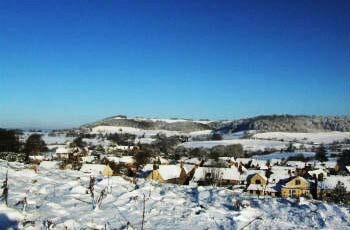 North Nibley is an attractive village on the edge of the Cotswolds located close to the river Severn between Bristol and Gloucester. Its name means a farm or settlement on a hilltop. 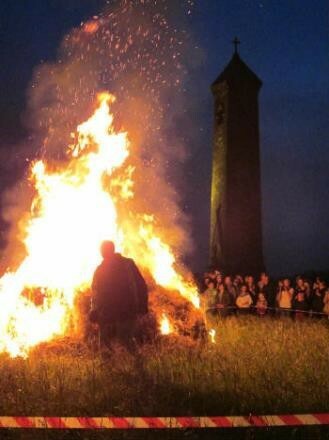 The first record is in the register known as Cartularium Saxonicum in 940 AD as 'hnibban lege'. 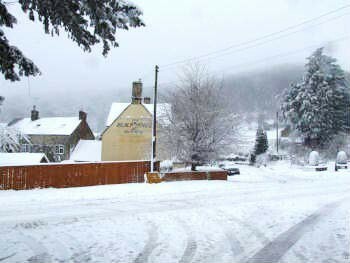 The village is of considerable antiquity and was formerly famed for the manufacture of woollen cloth. 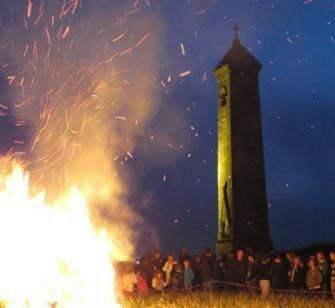 North Nibley is famously associated with William Tyndale who translated much of the Bible into English. 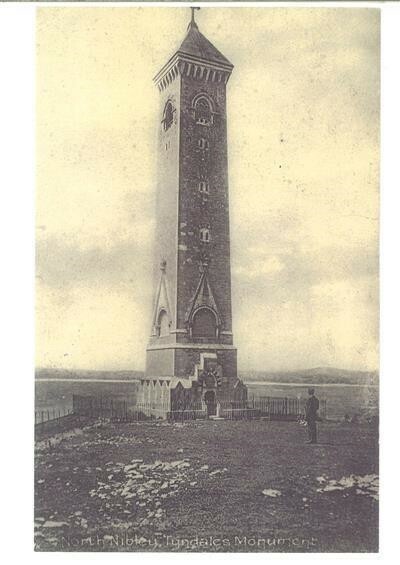 The Tyndale Monument, erected in 1866, is a well known landmark on the hill above the village. 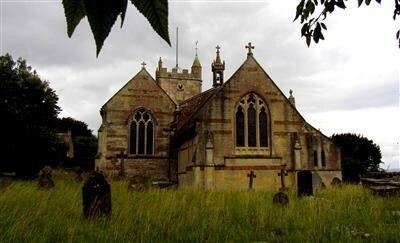 The Parish was also the scene of the last battle fought in England. 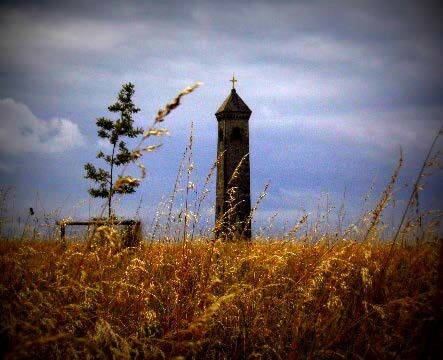 On 20th March 1469/70 the private armies of Thomas, Lord Lisle and William, Lord Berkeley fought at Nibley Green, with combined forces of more than 1,000 men. The fifteenth century church in the village is dedicated to the 5th century Saint Martin who served as a Roman soldier and later became Bishop of Tours. The church is thought to have been built on the site of an earlier Saxon church and was extensively restored in Victorian times. The churchyard is closed to new burials. 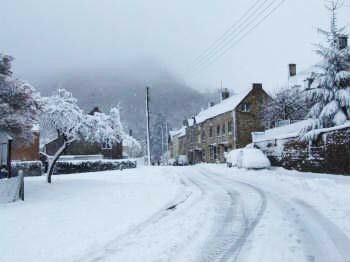 In North Nibley we are fortunate to live in a beautiful unspoiled setting. 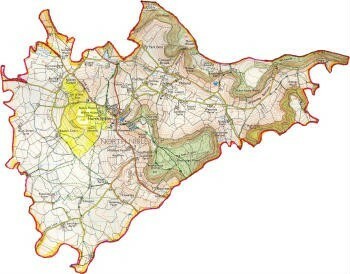 It is an unusual Parish, in that almost half of the households live outside the central nucleus of the village across a number of separate hamlets. Many households have been resident in the Parish for over 20 years with some over several generations. Today's local institutions and organisations work together to foster a strong community spirit. 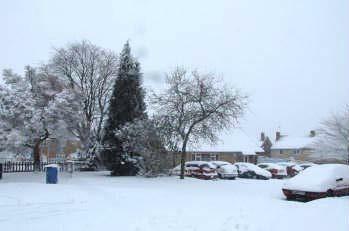 The Parish lies on the western edge of the Cotswolds Area of Outstanding Natural Beauty (AONB). AONBs are considered to be the most special landscapes in the country, with the prime purpose being to enhance and conserve the natural beauty of the area. 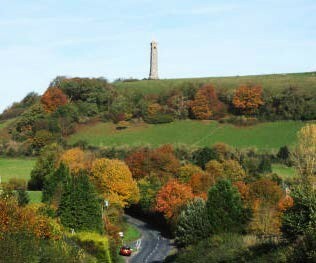 The Cotswolds AONB is characterised into specific landscape character areas, of which North Nibley falls into the "Rolling Hills and Valleys" category. A multitude of footpaths and bridleways run through the Parish, with routes varying from flat or gently undulating farmland to steep hills and valleys. 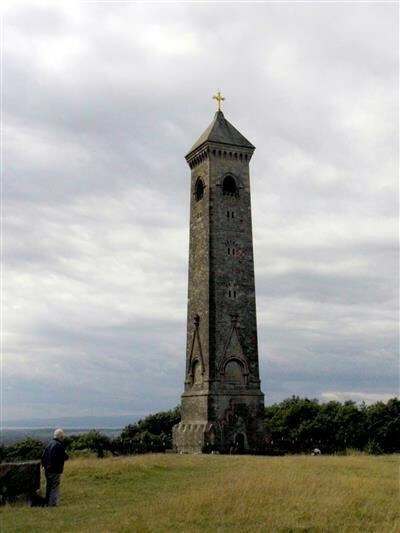 Picturesque views are to be found in many locations, with the Tyndale Monument being the most prominent landmark. The Cotswold Way, a long distance walking trail of 102 miles (164km) between Bath and Chipping Camden, runs through the Parish. The agriculture industry has seen a move away from dairy farming to mainly pastoral grazing land, with sheep, cows and even alpacas. There are also some arable areas. Woodland in the Parish is mainly broadleaved, with Beech being a prevalent species. There are also areas of ancient woodland. Brackenbury Ditches Iron Age Hillfort (a scheduled monument) is currently being cleared by English Heritage in cooperation with Gloucestershire County Council to prevent tree roots damaging buried archaeology. Nibley House - English Heritage Grade II* Large Country House. Mid C17; late C17 alterations; major alterations of 1763 for George Smyth; late C19 or early C20 additions. Ashlar limestone; roughcast to rear elevations; ashlar chimneys; plain tile roof. Two-storey with attic and cellar. Central staircase plan with wing to rear. Front: 2:3:2 fenestration, 15-pane sashes to ground floor and 12-pane to upper floor all with moulded eared architraves and bracketed sills. Central doorway with Gibbs surround has 6-panel door with rectangular light over. Interior is mostly of 1763 except for some rear areas. Finely proportioned room with mid C18 marble fireplace. High square hall with open well staircase on 3 sides having 3 turned balusters per tread and wreathed handrails. Room in north-west corner has fine Rococo plaster ceiling with flowers and fruits depicted with great realism. In angle with rear wing a late C17 or early C18 staircase with moulded handrail and barleysugar balusters. Some late C17 timber framed partitions in older part of house. Roof structure incorporates part of C17 roof. Some alterations may have taken place between the building recorded by Kip and the major rebuilding of 1763. The present house is as engraved by Bonner in 1779. Former manorial house or priest's house. Coursed rubble marlstone with limestone ashlar dressings; rubble chimneys; stone slate roof. Two-storey; projecting 2-storey rear wing with cellar. Front: scattered fenestration of various dates, mostly resulting from 1853 restoration. Off-centre moulded 4-centred arched doorway with quatrefoils in spandrels and bold hoodmould with shield stops; pointed-arched former staircase window over with C14 style tracery and small parapet gable above. At extreme left-hand end large blocked C15 moulded 4-centred arched opening, probably original entrance; fragment of moulded string course above. Parapet gable at each end of building. Interior has large moulded Tudor-arched stone fireplace in hall, possibly late C15. Roof is 5-bay arched braced collar-truss type, mostly concealed by present ceiling, with moulding on inner edge of bracing pegged to principal rafters. Upper floor is probably an insertion. 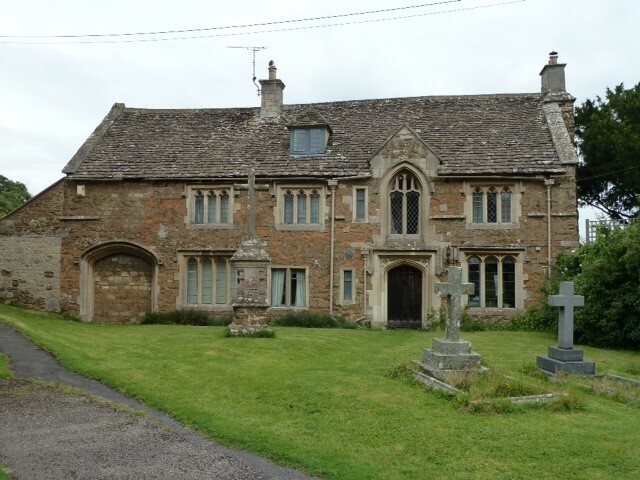 Called The Chantry since C16, but position suggests a manorial use, or possibly a use as a priest's house. In early C19 was used as a school house.